This week, we had a very traumatic experience involving close friends. We may not be able to respond or post on social media as much as we usually do, so please understand. Going through difficulties and personal tragedy is a sad part of life, and it really puts everything into sharp perspective. Appreciate your family and keep your loved ones close, because every day is a gift and tomorrow is not promised. Stay in faith, because no matter what you are going through right now, you will emerge stronger as long as you never give up. So many of us see the recurring numbers 11:11 on digital clocks or our cell phones, but what does it mean? This is always a sign to us to become more aware, so take time to tune in to the deeper meaning for you personally. Pay attention to your thoughts and experiences. What is happening around you? Numbers are vibrational frequencies and they hold great meaning. 11:11 is a message from your angels that your dreams are manifesting, that you are entering a gateway to a higher level of consciousness, so try to stay positive! Your angels are bringing you messages of love and guidance. 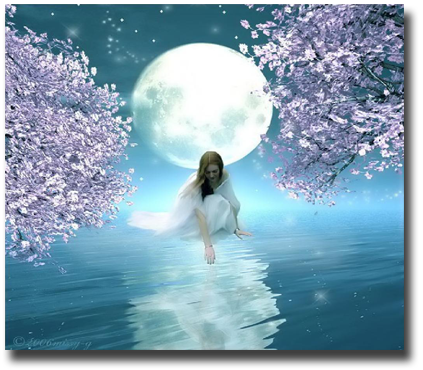 Take some time to meditate if you can, and open your heart and mind to experience their love and receive their healing energy. Angels and spirit guides sometimes give us messages through showing us sequences of numbers. They may show up on digital clocks, license plates, building addresses, dry-cleaning tickets, the flight number on your airline ticket, even the number of “friends” on your Facebook page! Here are some examples of number sequences and their meanings. We’ve given them as three-digit sequences but there can also be sequences of more than three of the same number, and they will have the same meanings. When you see one of these sequences, try to notice what happened or what you were thinking about just before you saw the numbers. Your spirit helpers may be alerting you to pay attention to something specific that is going on in your life and reassess your options or the choices you’ve been making. 111—A sign of new beginnings, a doorway of opportunity opening up for you. The number 1 represents initiative and drive. You have the power to transform a situation if you focus on what you want. Stay in faith. 222—Represents the process of ideas becoming reality. It is symbolic of the process of creation, partnership, and cooperation. Seeing this sequence of numbers means that you are about to attain a long-held dream or wish. Manifestation is near. Keep affirming what you want. 333—Represents wholeness, unity, heaven, or the spiritual realms; 333 symbolizes creativity, the feminine mystic essence, and clarity. Expect a successful solution to a problem you are facing. 444—Symbolic of initiation, also symbolizes the presence of angelic beings who want you to pay attention or wake up to a new way of doing things; 4 also represents mastery and willpower. A decision needs to be made. 555—Symbolic of the center, harmony, balance. It means order, perfection, a bridge between the physical and spiritual. A major life change is imminent. It is a good time to seize new opportunities or promote your business. You will notice a freeing up of your energies. 666—Represents conflict or unrealized potential. Your thoughts are out of balance. You may be too wrapped up in ego and acquiring material trappings. Focus more on your spiritual side and being of service to others. 777—Represents the enlightened self, a fresh start, positive regeneration. A very spiritual number, 7 symbolizes mysticism, magic, and psychic energies. Your wishes are coming true, and yes, you are on the right path! 999—Means completion. You are at the end of a major phase of your life; 9 symbolizes the electrical energy of the cosmos. An auspicious number, 999 indicates a way through obstacles. There is a light at the end of the tunnel. 000—A reminder of your oneness with Source energy. Zero represents a cycle of rebirth, or the completion of a cycle of destiny. A situation has come to fruition for you, and you will soon taste the fruit of your labors. In addition to sequences of the same number, you may also notice numbers appearing in ascending or descending sequences, such as 123, 234, 456 or 654, 432, 321. (The sequences can also be longer.) If you’re considering a change in a particular area of your life, seeing ascending sequences of any denomination is generally a sign that following your thoughts will lead to a positive outcome. Seeing descending sequences is usually an indication from your spirit guides that following your thoughts will be taking a step backwards or lead to a negative result. 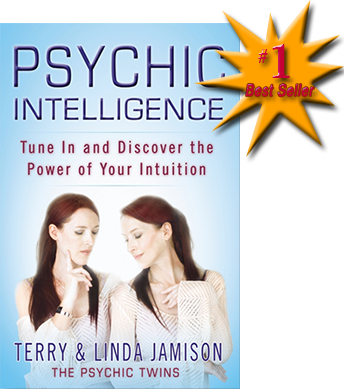 Now The Psychic Twins will help you tune in to and strengthen your own intuition, look into your future, and change your destiny. 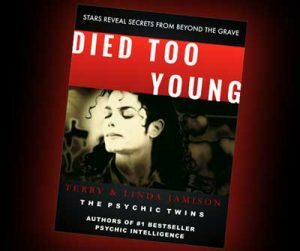 In this book, Terry and Linda share their astonishing gift with you. They give step-by-step instructions for how you can dissolve mental blocks and focus on exploring the Four Clairs: clairvoyance, clairaudience, clairsentience, and claircognizance. Start noticing your numbers! There are many other meanings, and much more to learn about Numerology… what numbers are you seeing? The two of us have a new video collab going up on our YouTube channel August 1st, with the lovely Tara Michelle and her boyfriend Taylor Baxter. We hope you enjoy that, and also watch and share our other videos if you get the chance. We wish you a safe journey… and we’ll see you in the future. Just bought your book on Kindle. It’s really witty and full of wise advice. 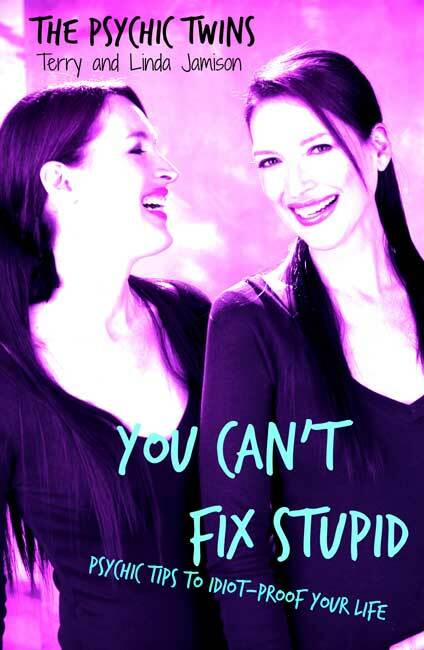 It takes you to a broader audience than you normally have because even if people aren’t so receptive to your psychic work… unlike me and most of the people who come to your facebook page, it would hilarious to almost anyone. It’s a bit of a cautionary tale full of wit and wisdom. Fast-paced too, and a very fun read based on crazy things people have actually done. I have already recommended it to 3 people who hadn’t heard of it. You have really hit the right voice for current life challenges. Congratulations! Thanks for helping our new YouTube Channel become the fastest-growing of all time! We now have nearly 800,000 subscribers! Another extraordinary gift has been given to us by Terry and Linda Jamison with this wonderful book! 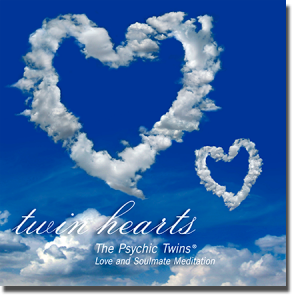 The Psychic Twins have provided insights and answers to so many mysteries which have long haunted us. Their compassionate dialogue, especially with those stars who endured unspeakable emotional and physical abuse while being held a prisoner in the spotlight of fame, was especially moving… giving voice to their suffering and meaning to their incomplete lives. This is an inspiration to all of us left to ponder the meaning of fame, and life after death. We have been blessed with two angels that can pierce the veil of illusion separating us from our loved ones passing before us… This book is a rare enchantment to be treasured, inspiring us with the beauty of the higher dimensions beyond life and the marvels in life after death.